Fresh red chillies, onions, ginger, garlic, yellow bean paste (soy beans, soy sauce, wheat), tomato ketchup (tomatoes, celery, spirit vinegar, spice, herb extracts) sugar, salt, vegetable oil. May contain traces of nuts. Allergens highlighted in bold. 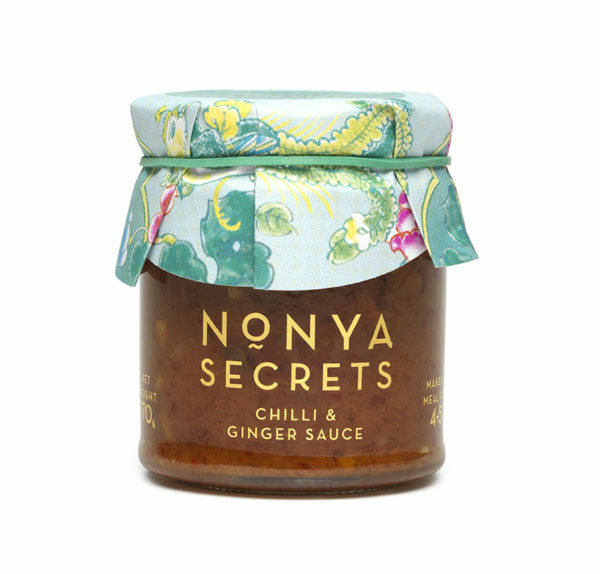 Nonya’s sauces are fantastic especially chilli and ginger sauce which is just amazing and so versatile! 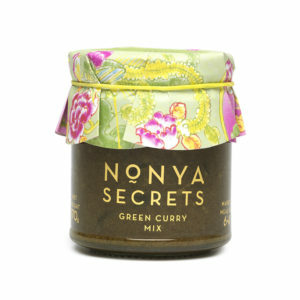 It works a treat as marinade and it literally transforms a dull chicken breast or roast chicken into something amazing in a matter of minutes! 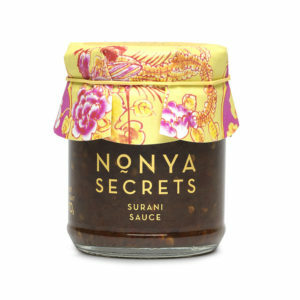 This sauce saved me lots of hours in the kitchen and everyone who tried it loved it! 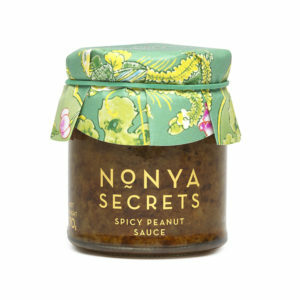 We also loved the peanut sauce which works wonderfully in spicy Asian salad dressings and as an accompaniment to a grilled chicken.